Further examination of the fine wine market over the last two years on the Liv-ex Fine Wine 1000 shows that two US labels are key market drivers. Earlier this week (10 February) the first analysis of Liv-ex’s new multi-region index showed that Italian wines, particularly Gaja, were bucking an unusual January slump in fine wine trading. The index is split into sub-indices which monitor two Bordeaux groups (strong performers and “legendary” vintages), Burgundy, Champagne, the Rhône, Italy and the “Rest of the World” – which includes wines from the US, Australia, Spain and Portugal. Liv-ex pointed out on its blog that over a five year timescale all the indices show growth but, mirroring the slump in Bordeaux trading after several highly priced vintages and poorly received en primeur campaigns, over a two year period, the Bordeaux 500 and Bordeaux Legends 50 have seen falls of 4.9% and 6.5% respectively. Of the remaining indices there have been minor dips of late although Burgundian and Italian wines remain market leaders. Nonetheless, it is clear that the Rest of the World index is far outstripping its rivals and the leading wines within it are the two American names, Dominus and Opus One. 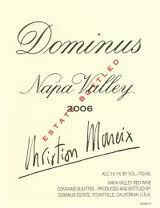 The Dominus 2005 was the fourth best performing label over the last two years (behind Armand Rousseau’s 2002 Clos de Beze, the 2008 Masseto Super Tuscan and Ponsot’s 2001 Clos Roche Vieilles Vignes) rising 48.8% in value from £660 a case to £982. Its sister vintage the 2006 wasn’t far behind, also registering a 41.8% rise in value in two years from £680 to £964 a case. The 2002 Dominus was also up 36.4% but as it was already over £1,000 a case it likely proved less tempting than the 2005 and 2006. 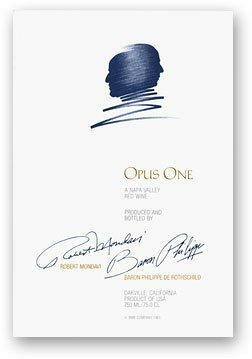 The 2007 Opus One went up 39.2% to £2,200 a case. The only other wine from the Rest of the World sub-index to make the top performers over two years was Vega Sicilia’s 1995 Unico which increased 37.3% in value to £2,718. Vega Sicilia was a surprise addition both to the Liv-ex Fine Wine 1000 and Sotheby’s best performing wines at auction from last year. To date it is seemingly Spain’s only investment worthy wine. Bollinger’s 1999 Grande Année was the best performing Champagne, showing a 44.2% jump to £865 per case although Taittinger’s 2002 Comtes de Champagne (which has proved a very popular Champagne over the last couple of years) and the 2004 Cristal also rose well over 40% each. The only Rhône to make the cut was Pegau’s 2009 Châteauneuf du Pape Reserve which saw a 32.4% rise in value to £454 a case. It is the weakest performing of the non-Bordeaux sub-indices but is still out-performing Bordeaux itself.